Congratulations to the U16 Champion: LUCKY UNDER 16S STAFFORDSHIRE from Great Britain! 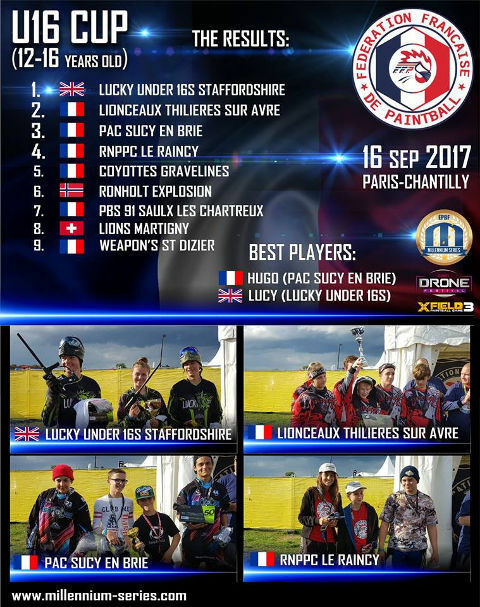 The U16 Cup has been held on 16th September by French Paintball Federation (FFP). The teams were 3man, players aged 12-16 y.o. and they used a special (.50 cal) equipment, provided by FFP.